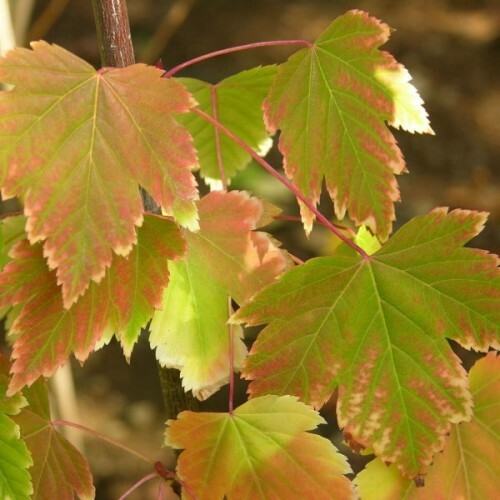 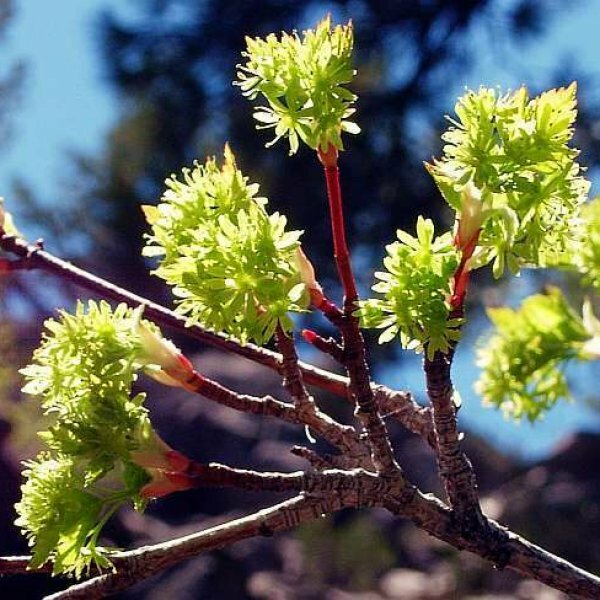 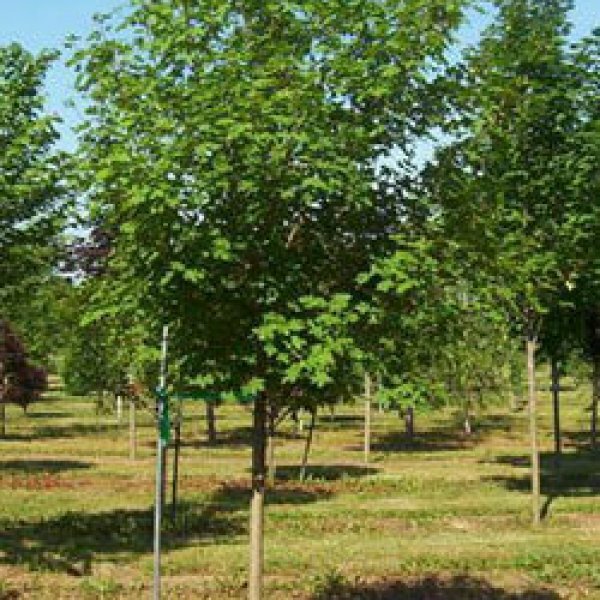 Native to rocky slopes and moist ravines through much of western North America, this small, hardy, relatively drought tolerant maple makes a good choice for low-maintenance landscapes within its native range. 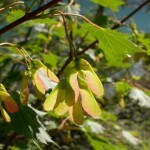 An upright, typically multistemmed shrub or small tree, it has three- to five-lobed, shiny, medium-green leaves that sometimes are divided into three leaflets. Fall color is a yellow to orange. Although rather sparsely branched and rangy in shady sites, it forms a much denser plant in partial sun. Its greenish yellow flowers appear in early spring, followed by two-winged fruits that mature from green to brown. 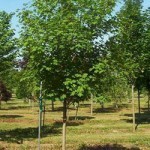 The smooth, red-brown to gray-brown bark becomes rough on older stems.